Mother Shirley Ann Simpo, affectionately known as “Ms. Shirley” was born on June 7, 1942 in Waycross, Georgia to the late Bobby Lee Jones and Lillie Mae Jones. She attended and completed public school in Waycross, Georgia. Shirley moved to Jacksonville, Florida in 1961.She was employed by Dr. Julian Suhrer for 20 years. She then went on to work at Process Masters in 1988 and after 20 years of dedicated and devoted service she retired. On Friday, April 5, 2019 Shirley Ann Simpo departed this earthly life. She was preceded in death by her parents, Bobby Lee Jones and Lillie Mae Jones; former husband, James H. Simpo; brother, Freddie Kitchen; sister, Mae Francis Brooks; and grandson, Lazarius Kitchen. Mother Simpo loved the Lord with all her heart, mind, body and soul. 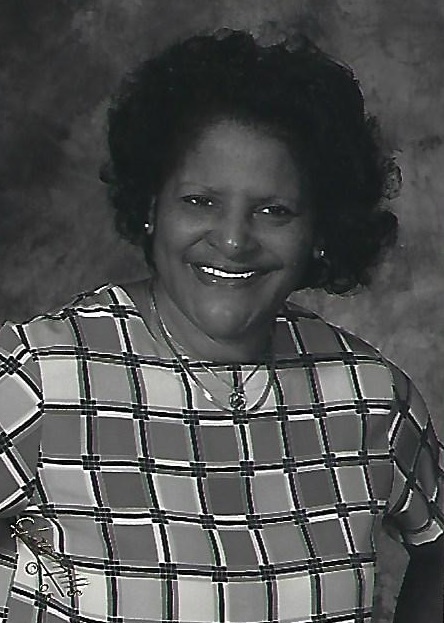 She was a dedicated member of All People International Church under the leadership of Bishop A. T. Jones, Sr.
Shirley leaves to cherish her memories and embrace her legacy, four sons, Larry Kitchen (Roshanda), James Simpo, Tyrone Simpo (Charlene) all of Jacksonville, Florida and Kendrick Simpo of Houston, Texas; one daughter, Bernice Courtney of Lorton, Virginia; thirteen grandchildren; seven great grandchildren; four brothers, Bobby Jones, McKensie Jones, Greg Jones and Glenn Smith; two sisters, Mary Wood and Angela McDowell; one uncle, John Henry Kitchen; sisters-in-law, Inez Newman, Gloria Christopher (Earl), Faye McClendon (Maurice), Janice Grogan (Reginald) and Susie Simpo; brother-in-law, Bobbi Simpo; and a host of nieces, nephews, cousins and friends. Special thanks to her beloved friends, Annette Samuels, Aretha Kearns, Retha Watts, Charles Smith, Sharon Martin, Rev. Herman & Gene Grant, the Greenleaf Road Family, along with her four adopted daughters, Sister Rosalind Winfrey, Sister Shelia Ranson, Sister Rose Walker and Sister Sandra Brown.